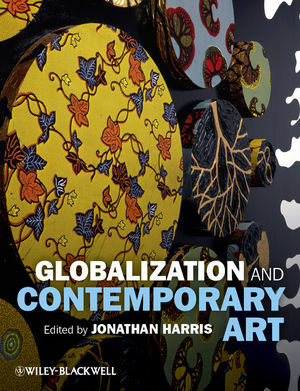 Introduction: Globalization and Contemporary Art: A Convergence of Peoples and Ideas (Jonathan Harris). 1 Real Time and Real Time at The Israel Museum, Jerusalem (Vivianne Barsky). 2 Peddling Time When Standing Still: Art Remains in Lebanon and the Globalization That Was (Walid Sadek). 3 Homogeneity or Individuation? A Long View of the Critical Paradox of Contemporary Art in a Stateless Nation (Peter Lord). 4 Museums in the Colonial Horizon of Modernity: Fred Wilson's Mining the Museum (1992) (Walter Mignolo). 5 Africus Johannesburg Biennale 1995: Butisi Tart? (Natasha Becker). 6 Post-Crisis: Scenes of Cultural Change in Buenos Aires (Andrea Giunta). 7 Evolution within the Revolution: The Afro-Cuban Cultural Movement and Cuban Art Collectives, 1975 to 2000 (Zoya Kocur). 8 Ka Muhe'e, He i'a Hololua: Kanaka Maoli Art and the Challenge of the Global Market (Herman Pi’ikea Clark). 9 Aboriginal Cosmopolitans: A Prehistory of Western Desert Painting (Ian McLean). 10 Working to Learn Together: Failure as Tactic (Judith Rodenbeck). Part 3: Means and Forces of Production. 11 The Two Economies of World Art (Malcolm Bull). 12 The Spectacle and Its Others: Labor, Conflict, and Art in the Age of Global Capital (Angela Dimitrakaki). 13 Cultural Mercantilism: Modernism's Means of Production: The Gutai Group as Case Study (Ming Tiampo). 14 Audiovisionaries of the Network Planet (Sean Cubitt). 15 Contemporary Asian Art and the West (David Clarke). 16 World Pictures: Globalization and Visual Culture (W. J. T. Mitchell). 17 Leaves of Grass and Real Allegory: A Case Study of International Rebellion (Albert Boime). 18 Collaboration in Art and Society: A Global Pursuit of Democratic Dialogue (Nikos Papastergiadis). 19 Globalization Questions and Contemporary Art's Answers: Art in Palestine (Khaled Hourani). 20 Political Islam and the Time of Contemporary Art (Amna Malik). 21 Displaced Models: Techniques and Tactics of Reproduction across the Genres and Institutions of Western Art from Duchamp to Doujak (Lewis Johnson0. 22 White Man Got No Dreaming: Indigenous Art, Apartheid and the Emergence of "Global Style" Painting in Australia (Jeanette Hoorn). 23 The Discourse of (L)imitation: A Case Study with Hole-Digging in 1960s Japan (Reiko Tomii). 24 Art and Postcolonial Society (Rasheed Araeen). 25 Why Art History is Global (James Elkins). 26 The Agency of the Historian in the Construction of National Identity in Colombian Architecture (Felipe Hernández). 27 Aboriginal Art and Australian Modernism: An Althusserian Critique (Darren Jorgensen). 28 Gesturing No(w)here (Nermin Saybasili). 29 The Emergence of Powerhouse Dealers in Contemporary Art (Derrick Chong). 30 The Art Market in Transition, the Global Economic Crisis, and the Rise of Asia (Iain Robertson). 31 Global Contemporary? The Global Horizon of Art Events (Charlotte Bydler). 32 "Institutionalized Globalization," Contemporary Art, and the Corporate Gulag in Chile (David Craven). 33 Culture, Neoliberal Development, and the Future of Progressive Politics in Southeastern Europe (Zhivka Valiavicharska).